The holiday shopping season is almost here and I want to get a jump on optimizing and positioning my site online more effectively in advance of the shopping rush. Can you give me some tips to better optimize my site and campaigns for the coming holidays? Answer: According to well-known research firm Deliotte the 2015 holiday shopping season looks to be a rosy one for retailers! Total holiday sales are expected to climb to between $961 and $965 billion, representing a 3.5 to 4 percent increase in November through January holiday sales. Thanks to dropping gas prices and surging home sales, the upcoming holiday shopping season should reflect an improved economic climate and that means more money for shoppers to spend on themselves and family. 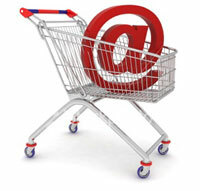 Online and mail-order shopping in particular is projected to rise by a significant 8.5 to 9 percent. That's not pocket change for the average retailer.